Those of you familiar with my work will know by now that I always like to write about lovely places. The Dreaming of... series has already included Venice and Florence, so St-Tropez seemed like a fitting sequel to those two magical Italian cities. By the way, I can reveal that the next one after this will be set in a gorgeous five-star hotel in the Austrian Alps so you can see a pattern developing here – I like nice places. I also have a rule that I must visit these places before starting to write. They say you should always write about what you know and, great as Google Earth is, it can’t give you the scents, the sounds, the people or that indefinable thing – the atmosphere. So this time last year, my wife and I headed across to visit St-Tropez to see for ourselves. If anybody is inspired to do the same after reading Dreaming of St-Tropez (and I highly recommend it) here’s a tip: don’t stay in St-Tropez (it costs an arm and a leg). Stay in Ste-Maxime, a fifteen-minute boat ride across the bay. It’s a lot cheaper and, while not as atmospheric as St-Tropez itself, it has its own charm (and a load of great restaurants). We were fortunate to have sparkling warm dry May weather – justifying St-Tropez’s claims to have more sunny days than anywhere in France – and the first impressions were terrific. St-Tropez is set at the mouth of a delightful bay and the tree-covered hills behind the town have been designated a national park. Considering it is on the highly populated Côte d’Azur, the area is remarkably unspoilt – and that came as a surprise. As a result, there are delightful wildflowers all over the place and the woods are rich with fauna from wild boar to the somewhat less appealing large snake I discovered on the path in front of me one day. They say snakes are more scared of you than you are of them, but I don’t buy it. This thing gave me a “Make my day, punk” look before reluctantly slithering into the bushes, nonchalantly leaving its tail still on the path. I was never much good at the long jump at school but, believe me, I vaulted that bit of path like an Olympic athlete. The other big surprise I got in St-Tropez was the fact that it wasn’t just stuffed full of rich people. 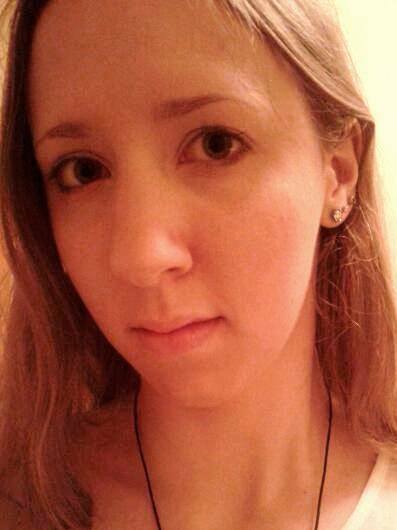 I hope I manage to convey this impression through Jess’ eyes in the book. Yes, the quayside is lined with spectacular yachts (most registered in the tax havens of the world), yes, there are more designer clothes shops in just one street than in the whole of the West of England and yes, I saw more Ferraris there than anywhere else on earth. But, beneath the veneer of the rich and famous – did I mention, I saw Brigitte Bardot? – the place is still a French fishing port. The people we met in the shops, restaurants and cafés were normal folk, just like the rest of us. The feel of the place was refreshingly ordinary. Research is vital to my work (and I keep telling the Inland Revenue that) and there is no substitute for going there and seeing it for yourself. Now then, how about Dreaming of the Seychelles...? T.A. Williams lives in Devon with his Italian wife. He was born in England to a Scottish mother and Welsh father. After a degree in modern languages at Nottingham University, he lived and worked in Switzerland, France and Italy, before returning to run one of the best-known language schools in the UK. His hobby is long-distance cycling, but his passion is writing. 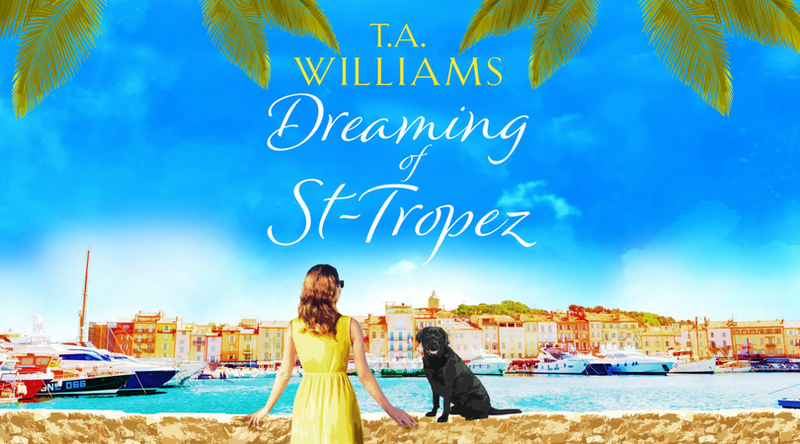 Dreaming of St Tropez is available to buy now. 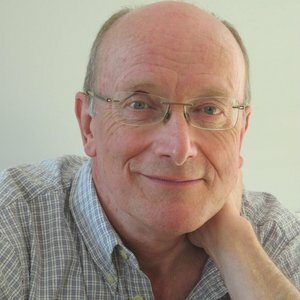 For more about the author and upcoming books in the series, you can follow him on Twitter. Have you ever been to St Tropez? Let me know in the comments below!